Chelsea torched Dinamo Kiev 5-0 in Ukraine tonight, and Callum Hudson-Odoi was at the forefront of proceedings. The winger got a rare start and absolutely lit up the tie, especially in the second half. He ended up with a goal and an assist, and was one of the outstanding players on the pitch, as he has been consistently when given a chance this season. Even Maurizio Sarri had to give him plenty of praise in the media after the game, and you can imagine what the reaction was like on Twitter. In fact, you dont have to remember because we’ve collected some of the most interesting stats and comment for you here. 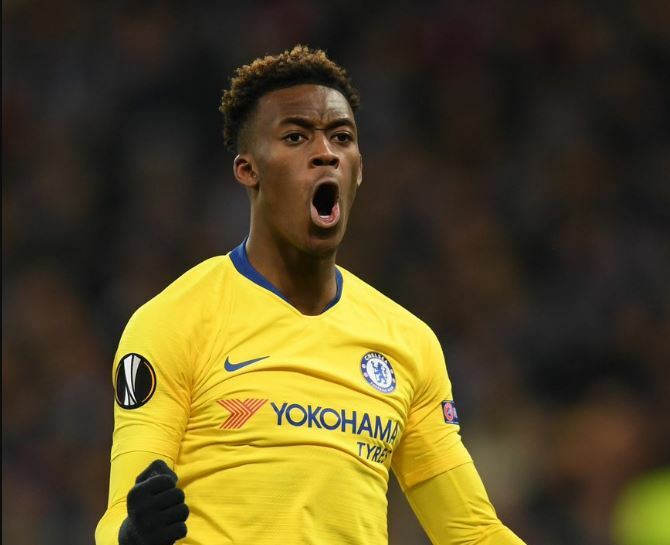 READ MORE: Could tonight be Callum Hudson-Odoi’s last Chelsea start? Callum Hudson-Odoi has now been directly involved in a goal every 64 minutes for Chelsea this season. Callum Hudson-Odoi has now scored more goals (4) than any other teenager in European competition this season. Put Callum Hudson-Odoi in that Dortmund team and I'm telling you he'll do a better than job than Sancho against those farmers. Hudson-Odoi has 4 goals & 2 assists in the Europa League this season… but honestly that only tells half the story. Hudson-Odoi assist and now a goal. In other news, fish swim.